Velasquez was stopped in the 10th round in his first shot at a world title. Javier Fortuna got to Carlos Velasquez early, and he without a doubt got to him late, as the 130-pound world champion from the Dominican Republic thoroughly outclassed his opponent in his first title defense in front of a rowdy Las Vegas crowd at the Palms Casino Resort on Tuesday night. You could forgive Carlos Velasquez’s opponents for seeing double even before their bells get rung like mom calling the kids home for dinner. 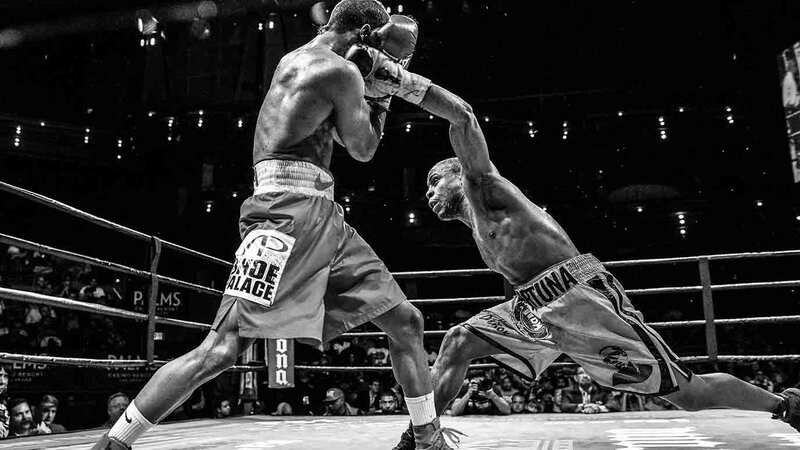 After Javier Fortuna knocked off Bryan Vasquez in May, he earned himself a vacant 130-pound championship in the process. Now that he’s set to take on Carlos Velasquez on Tuesday night at the Palms Casino Resort in Las Vegas, he’ll get his first taste of title defense in the division. From Wilfred Benítez to Hector Camacho to Felix Trinidad, Puerto Rico’s boxing history is as rich as the island’s cuisine. Not that any of those legendary fighters were really front of mind when Carlos Velasquez and his twin brother, Juan Carlos Velasquez, wandered into a boxing gym in their hometown of Cataño at the age of 12. Initially, boxing was to be just a hobby, but that plan quickly changed, and now Velasquez is putting himself in contention for a 130-pound world title. As Velasquez kept returning to the gym, his affinity for boxing grew, and it wasn’t long before he was trading blows in amateur bouts. By 2002, Velasquez was taking part in bigger competitions such as the World Junior Championships and the Central American & Caribbean Games. Two years later, he won the silver medal in the 125-pound division at the Olympic qualifier tournament in Tijuana, Mexico, earning a spot in the 2004 Olympics. Representing Puerto Rico, Velasquez’s stay in Athens unfortunately was brief, as he lost an extremely narrow decision to Brazil’s Edvaldo Oliveira in his opening bout. Undaunted, he continued his amateur career and scored his biggest upset at the 2006 Central American and Caribbean Games when he defeated heavily favored Cuban fighter Yuriorkis Gamboa en route to capturing the gold medal. Having accomplished his goals as an amateur, Velasquez, along with his brother, made the jump to the professional ranks in February 2007 and immediately announced his presence with the subtlety of a Category 5 hurricane. In his pro debut, Velasquez stopped Stephan Arnold in 86 seconds at New York’s Roseland Ballroom. That kicked off an 11-month stretch in which he would register six knockout victories in as many fights, with each stoppage coming in the third round or sooner. In 2010, after scoring a fifth-round TKO of Eduardo Arcos in July to improve to 13-0, Velasquez underwent surgery to repair his rotator cuff. The injury sidelined him for two years, but Velasquez resumed his winning ways in November 2012, when he won a six-round unanimous decision over Roberto Bonilla. After defeating Giorgi Mtchedlishvili in May 2013, Velasquez took a step up in competition against former 122-pound world champ Rico Ramos. Velasquez dropped Ramos in the fifth round, but the former champ recovered and landed a left hook in the 10th round that knocked out Velasquez. Velasquez took six months off after the loss, returning to the ring in March 2014 with a unanimous decision over Wilshaun Boxley in which he took all six rounds on the judges’ scorecards. Three more victories followed in the ensuing 14 months, concluding with a six-round shutout of Juan Ruiz in Hidalgo, Texas, in May 2015, putting Velasquez in line for his first title shot.